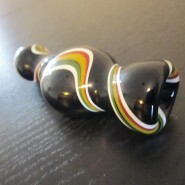 Mini handmade Glass smoking pipe for weed on sale now! Home > Shop > Mini size blue white glass smoking pipe for sale. Mini size blue white glass smoking pipe for sale. New handmade Mini size 3" long. 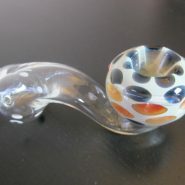 blue white glass smoking pipe for weed with free smoking pipe screens and free shipping US only. Beautiful made clear blue and whit color of the sky. 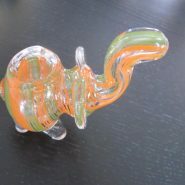 made with solid glass mix for the happy hemp smokers here and all over the glob. made easy to fit into any pocket size when smoking a glass smoking pipe at the outdoors. try me now! and i will show you the way to happiness.